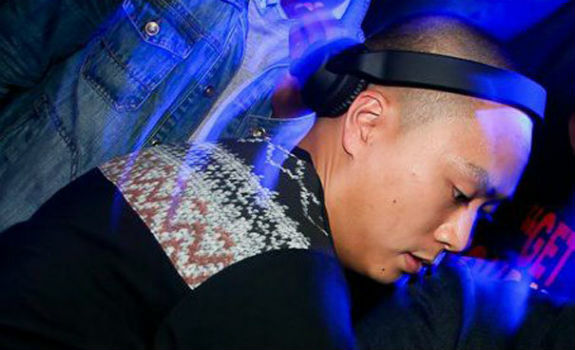 DJ Neptizzle’s Afrobeat Mix: Parlour Jams! While the American Parlour ladies jam to 2 Chainz and Kanye West’s leaked Cruel Summer album, our UK sistren are popping it to a bit of Afrobeat. Thanks to Sherry, we’re lucky enough to be able to introduce East London’s DJ Neptizzle, one of the foremost Afrobeat DJs in the U.K. and he’s mixes up something special for all of us. Learn what makes this Hackney boy tick and check out his mix below, I promise you won’t be able to sit still in your seat. Happy Monday! I was born in Edmonton, North London, and raised in Hackney, East London! How did you start spinning? My wonderful sister bought me a pair of turntables when I was 16. I began mixing Grime records, I would practice day and night. Favorite song to play at the height of the party? Right now Davido’s “Dami Duro,” it just shuts the place down! I wanted to be a music producer, the next Neptunes or Timbaland. Who are you DJ idols? DJ Jazzy Jeff, his technical ability is just insane! Who is the most interesting person in the world? I have many favourite countries for many different reasons; Vietnam for the food and people, Ghana for the club scene and food, and New York City for the crazy vibe and food! What piece of clothing do you wear everyday, barring undies? Shorts if I’m inside my house, even though England is cold 90% of the year. Most of the time I’ve got an Adidas tracksuit on, I love Adidas. What’s the last thing you bought to wear? An orange Ralph Lauren hoodie from the States. Food, lots of it, if you have not gathered that already. What’s your definition of a good day? A good day for me would involve a BBQ with family, friends, music, hot sunshine, food and drink. Listen to Neptizzle’s Parlour Jam! below, download here and catch his movements around the world on his Facebook page. Know a Parlour-worthy DJ, email me at hillary@parlourmagazine.com!